Looking for a lawn care company you can trust to handle all of your lawn care and landscaping needs? 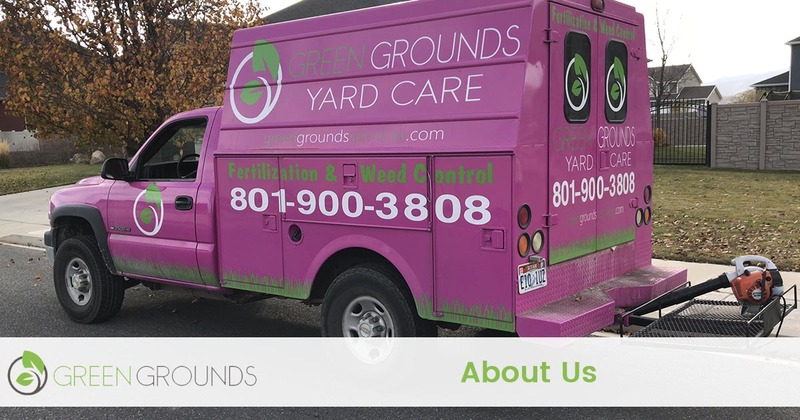 Since 2005, Green Grounds Yard Care has been the lawn care company in this part of Utah people know they can trust. Call us at 801-900-3808 to start discussing your needs today. Choosing Green Grounds Yard Care means choosing unmatched service and reliability. You will enjoy the peace of mind knowing your lawn and landscape are in good hands. We're easy to reach and respond quickly to customer requests so you don't have to wait for the results you expect. Utah County has chosen Green Grounds as their “Go To” company for all of their lawn care needs because of our best-in-class quality, expertly trained employees, and outstanding customer satisfaction. We tailor your service package to meet the specific needs of your lawn and landscape. Our team of lawn care professionals will go through a 21-Point checklist to guarantee your lawn is treated to the highest quality of work. These are just a few of the reasons our customers call us again and again. We have the strongest guarantee in the state. If you don’t absolutely love our service we will fix it at no additional charge. If your still not satisfied, we will pay a competitor of your choosing to correct the issue.We carry full liability and workers compensation insurance and are fully licensed to perform each job.We only use top notch commercial equipment and we sharpen our blades daily to ensure you receive a crisp clean cut every time.We hire only professionals that pass a background check (including drug testing) and are fluent in English. Only professionally trained employees are allowed to step foot on your property.We always show on the day and at the time we quote you, and we do not leave until your lawn is pristine.We handle your lawn like it’s our own. We treat it with the care and respect it deserves.We make it a point to respond to your calls and emails within minutes, not days like other companies. At Green Grounds Yard Care, we understand that taking care of the lawn and landscape at your property can be stressful! The last thing you want is to deal with a lawn care company that is unreliable, shows up late, overcharges you, or doesn't get the job done right. Calling our team is a completely different experience. We arrive on time, listen closely to your needs, work quickly and with attention to quality, and solve all of your lawn care and landscaping needs all at an affordable price. EXPERIENCE - Since 2005, we have been dedicated to providing your friends and neighbors with the best and most reliable lawn care and landscaping services. We have the experience and local knowledge it takes to professionally maintain your property. CUSTOMER SERVICE - We answer our phones during normal business hours and respond to online requests quickly. We are locally owned and operated which means we will be there quickly to take care of any of your lawn care needs. CONVENIENT - Most of our services are recurring and we will always arrive on time or communicate with you in advance if we are delayed by weather. Once the services are performed we will bill you electronically so you never have to worry about leaving a check under the doormat again. RESPECTFUL - We respect our customers, their time, and their property. For your peace of mind we have a comprehensive insurance policy and only use employees and never sub out your work. So you will always be protected and know who is on your property. Choose unbeatable lawn care services and reliability when you call Green Grounds Yard Care. 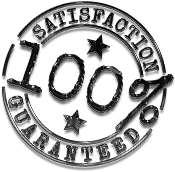 Contact us today at 801-900-3400 to request a free quote for any of the services we offer.